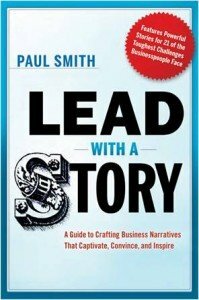 A former consultant with Accenture and more recently an executive at The Procter & Gamble Company, Paul is an internationally popular speaker and trainer in leadership and storytelling techniques, and the author of the bestselling book Lead with a Story: A Guide to Crafting Business Narratives That Captivate, Convince, and Inspire. 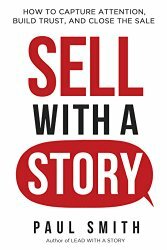 He’s also written Sell with a Story: How to Capture Attention, Build Trust, and Close the Sale. His work has been featured in Time Magazine, Forbes, Success, The Washington Post, CIO Magazine, Investor’s Business Daily, Marketing Research Magazine, PR News, the American Banking Journal, and London’s Edge Magazine, among others. Paul has trained executives at international giants like Hewlett Packard, Merrill Lynch, Luxottica, Walmart, Kaiser Permanente, Procter & Gamble, Prentiss Hall, and the Financial Times of London, among dozens of others. Some of his global work includes keynote addresses to executive audiences in Frankfurt, Toronto, Shanghai, Mexico City, Guangzhou, New York, and Costa Rica. He is a regular lecturer in the MBA programs at Xavier University and the University of Cincinnati. A 20-year veteran of P&G, Paul was most recently director of consumer research for the company’s $5 billion global paper business where he led a research team across four continents. Previously, he was responsible for leading the development of P&G’s global $80 billion sales forecasting capability. He has also held leadership positions in corporate finance, manufacturing plants, and sales working closely with executives at major retailers around the world like Walmart, Costco, Asda, and Sam’s Club.